The Hon’ble Prime Minister Shri Narendrabhai Modi will be visiting the Bikalang mela at Navsari on 17th September 2016. 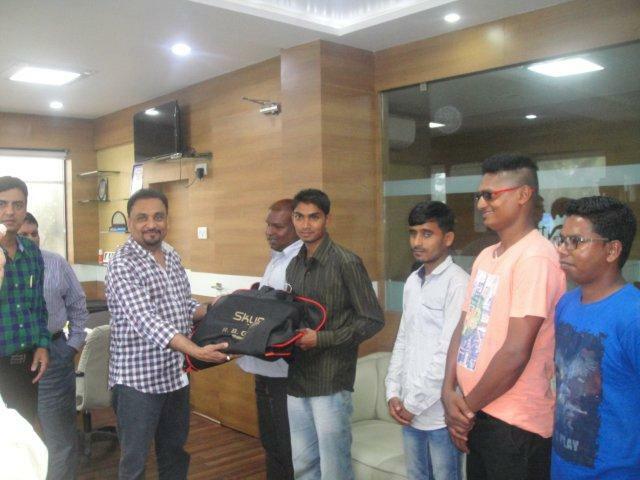 The Blind Cricketers of Valsad District Cricket Association will be taking part in Bikalang Mela on that day. 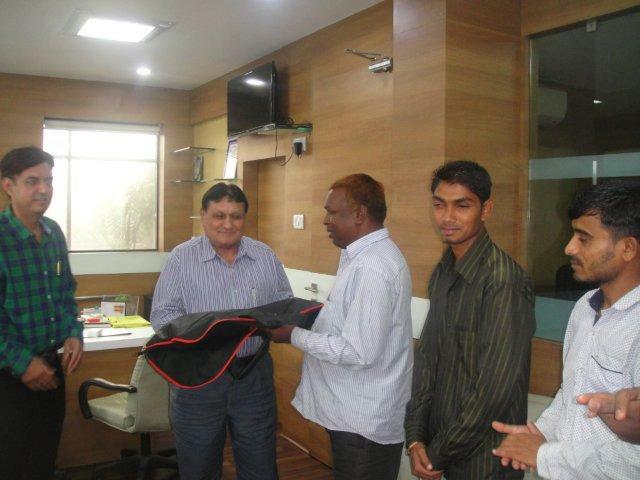 As part of the CSR Activity VIA and Shri A K Shah, trustee of L G Haria Multipurpose School handed over Blazer Suit Kit to the Blind Cricketers team of Valsad on 16th September 2016 at VIA Office. Shri Yogeshbhai Kabaria, President, VIA, Shri Hitendra Thakkar, Vice President, VIA, Shri Parthivbhai Mehta, Hon. Secretary, VIA, Shri Lalit Arora, Treasurer, VIA, Shri Maganbhai Savalia, Jt. Secretary, VIA, Shri A K Shah, Past President, VIA, Shri Kirit Shastri, Chairman – PF Committee, VIA and Shri Suresh Patel, Chairman – Technical Committee, VIA was present during the occasion.